For a diva on the go, I don’t have a whole lot of time for twisting and braiding every evening nor do I care for a lot of hair added on top of my head which rules out crochet on a regular. ** Girl, it’s too hot for all that… be walking around looking like…. This is why I decided to try out the tapered look because it fit my style and time needs and you know I’m all about being more efficient and fly! There are several other benefits I have found since stepping my game up and entering the tapered world. Check them out below and see if you’re up for the tapered fly life. If you are anything like me, then you stay on the go and nightly twisting sessions just are such an inconvenience. The tapered cut allows you the ability to get up and go without looking like something thrown away. Add a little water, moisture and oil… pick here and there and you’re ready to go! It’s really quite amazing the instant style gratification a tapered style can give you. Seriously, it’s all about the cut and the funky things you can do with it. Add lines, a touch of color, rollers to your locks and viola….. you are serving boo! I tell you know lie, a tapered will have you looking all types of fly, even in a style rut! No one tapered looks the same. Seriously, I have strolled the boards of Pinterest, IG pages and ladies on the street and I can honestly say, each one was COMPLETELY different! And that’s the beauty of the tapered is you get to make it your, own just like a snowflake! Hair is used as a security blanket. Some of us only feel beautiful if our hair is hanging down our backs or if our curls resemble more of a 4b than a 3c. And if that is exposed by hair loss or cutting, then we feel like we don’t measure up and are no longer beautiful. Having the courage to put the clippers to the ends and cut is liberating and life changing, at time. You no longer can hide behind your locks and have to face the facts that you are beautiful and worthy, no matter the inches or texture on your head. Once this is accepted, Watch out! because girly, you’re about to change your life! Once you decide to become a tapered chica, you have entered into a sisterhood. A sisterhood filled with encourage, respect and dopeness. It’s nothing to see a fellow beauty and rave about her cut and inquire on what products she uses, who’s her barber, where she purchased those super cute earrings from, etc. Being a tapered chica gives you the keys to palace and guess what, anyone as dope as you, is welcomed! So, now that I have shared with you, some benefits to being a tapered chica, let me share with you some of the dopest at this craft we call tapered life and who inspire me on a regular! Are you a Tapered beauty? Have you ever considered tapered/cut? Why or why not? Until the next time, live F.A.B with no regrets! Feature | Loc’d & Loaded + 7 Loc Beauties You Should Be Following Right Now! 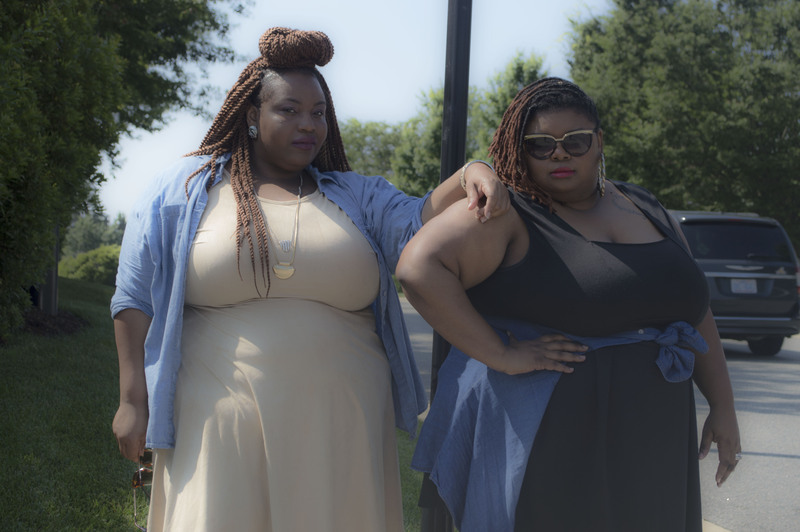 bykStyle | Summer Stripes + 3 Items That Show That Fat Girls Can Wear Stripes Too!